We are happy to announce that large parts of the conference held this week will be streamed for those unable to attend physically. If you’re interested in attending the conference through streaming, please send an email with subject “Streaming NoP” to lina.eklund[at]cme.lu.se and we’ll provide you with the link and the password. We’ve seen a big interest in attending the Nature of Peace conference, and already the 20 seats we had for attendees are filled. We do, however, have space for some more on one day of the conference, namely Thursday the 26th of April. To register, go to this eventbrite event! The day will involve keynotes, an interactive session, and seminars on nature and peace with international guests presenting their papers. This ticket allows you to listen to the seminars and participate in the discussions and sessions. Want to attend our Nature of Peace conference in Lund? You can now register to attend the Nature of Peace conference on 26-27th of April 2018. This conference is organized by the interdisciplinary research group ‘The Nature of Peace’ at the Pufendorf Institute for Advanced Studies at Lund University, Sweden. The research group scrutinizes the role of the natural environment in post-conflict societies, posing questions such as: What role does nature have in peace building? How is the natural environment considered in fragile states that need to develop quickly, during reconstruction period? Does peace always bring sustainable development? How can peace-building activities contribute to sustainable development? The research group is organizing a two-days final conference to take place in Lund on the 26th and 27th of April 2018. The conference will serve as a platform to engage with professionals working from different disciplinary angles and perspectives. Finally, the conference will be closed with a Panel on Local perspectives and a final plenary session. Note that there are only 20 seats available! In this piece, I explore the notion of environmental justice by looking at international environmental law and how it pertains to peacebuilding. Environmental degradation resulting from armed conflict and/or institutional collapse, disputes over land rights and management over ‘conflict resources’ must be dealt with in a just and fair manner to build positive peace. For this reason, there is a growing advocacy on how environmental justice can be applied to pave the way to sustainable peace. For instance, such advocacy can involve pushing for local communities’ participation in decision-making related to environmental matters; undertaking proper measure to clear areas contaminated with explosive remnants from the hostilities; restoring access to safe drinking water etc. The notion of environmental justice is however multifaceted and lacks a universal definition. Its meaning changes depending on place, period, and perspective. For instance, in the US, it referred to exposing racism in the allocation of waste and linking environmental justice to citizens’ rights, while in Latin America, it has been related to social movements showing the unequal exchange between the Global South and North in resource exploitation, extractives and destruction of local livelihoods. Thus, environmental justice must be regarded as something relative that has diverse meanings to different communities, societies and institutions. Environmental justice is not a purely legal concept. It goes beyond law, having also moral, philosophical and political underpinnings. Just as the notion of justice is fluid and relative, as there is no such a thing as absolute justice, the same goes for environmental justice. The law should be viewed as merely a compromise of different understandings of justice. Yet, a legal system must be perceived as fair and just to maintain its legitimacy and authority. This is especially important in post-conflict contexts where parallel, informal justice systems can otherwise develop and compete with the legal system, which endanger predictability and trust in the law. Such a development entails a risk of destabilising an already fragile peace. International environmental law can shed some light on the content of environmental justice, especially in terms of environmental peacebuilding. The term ‘environmental justice’ has its roots from an American movement in the 1980s protesting the placing of hazardous waste sites and other environmentally toxic facilities in poor black communities. In this case, environmental injustice describes how members of disadvantaged groups suffer disproportionately from environmental risks and degradation. Today, the notion of environmental justice hosts a broader set of meanings going beyond environmental degradation and social fairness. Environmental justice usually evolves around differences in how people and/or communities are adversely affected by environmental risks or pollutions, uneven distribution of natural resources and lack of access to justice regarding environmental matters. On an international level, environmental justice between states focuses on geopolitical tensions, for instance, how environmental harm has more serious consequences in the poorest regions in the world. For instance, the effects of climate change are likely to affect severely and disproportionately developing states that are particularly vulnerable to such effects. At the same time, developed states have greater financial and technical capability to mitigate carbon dioxide emissions and to adapt to and diminish impacts resulting from climate change. Environmental justice is commonly described as dealing with three kinds of concerns: distribution, procedure and recognition. Distributive justice relates to equal distribution of wealth and income from environmental resources, but also for carrying the burden of preventing and repairing environmental degradation in accordance with capacity and responsibility. Procedural justice concerns rights to access to information and participate in environmental decision-making. This is to make sure that those affected by the decisions also have influence during the decision-making process. The third kind relates to the respect for identities and cultural difference. It serves to ensure that local cultures, knowledge and ideas are valued in intercultural engagement. All these concerns of environmental justice are incorporated in international environmental law. One of the most influential instruments in creating and shaping international environmental law is the 1992 Rio Declaration. In this instrument, there are mainly three principles expressing aspects of environmental justice: Principle 7 stating the concept of common but differentiated responsibilities; Principle 10 dealing with access to environmental justice; and Principle 22 acknowledging the role of indigenous people and their communities as well as other local communities in environmental management and development. The Rio Declaration is not binding as such; nevertheless, many of its principles reflect the content of international environmental customary law, which is binding for all states. Aspects of the principles just mentioned have also been expressed in several binding environmental agreements. In addition, specifically in regard to peacebuilding, Principle 25 in the Rio declaration highlights how peace, development and environmental protection are interdependent and indivisible. The principle or the concept of common but differentiated responsibilities captures partly the essence of distributive environmental justice. It provides for states to contribute differently to prevent and mitigate environmental degradation depending on their capability as well as their responsibilities. To achieve an equitable distribution of the burdens to safeguard the environment, various environmental agreements have established financial mechanisms, expressed exemptions, and included provisions for transfer of technology and flexibility in the times required for compliance with international environmental obligations to benefit developing states. At the same time, developed states should take a greater responsibility than developing states to pay for past, present and future harms to the environment. Developed states should also transfer technology and invest in capacity building for developing states to assist them in complying with environmental obligations. This is due both to the larger capacity of developed states but also because they bear historically a greater responsibility for the current state of the environment. In the context of peacebuilding, this principle provides a framework to force other states to assist war-torn developing states under environmental stress. It provides for that developed states are under an obligation to provide technical, financial and other types of assistance to safeguard the environment, particularly in fragile states struggling to build an environmentally sound peace. Different paths are possible when working towards environmental justice. In relation to the procedural environmental justice, Principle 10 in the Rio Declaration ensures that individuals have rights to access to information concerning the environment that is held by public authorities, and the opportunity to participate in environmental decision-making. According to this principle, states have an obligation to facilitate public awareness by making information on environmental matters widely available. In addition, states are obligated under the same principle to provide effective access to judicial and administrative proceedings, including means of reparations and compensations. Similar rights can also be found in international human rights law instruments. In a peacebuilding process, international law provides for procedural environmental justice that can be applied to ensure access to information and public participation of local communities and individuals in decision-making in relation to the environment. Decisions on environmental management and allocation of natural resources should be invoked in this context in accordance with the law to provide procedural equity through decision-making with the participation of those affected. If such procedures are correctly incorporated, it will empower local communities in a peace process aiming at producing outcomes that treat all affected groups fairly in matters regarding land rights, exploitation of natural resources and environmental investments or risks. However, just because the principle exists in international law, it does not necessary mean that it is respected and enforced, especially in situations of post-conflict where the state may be facing problems to uphold its state functions and institutions. Still, the principle conveys an important message to all actors – internal as well as external – involved in the peace process to not bypass communities affected by environmental matters and an obligation to ensure them influence and access to justice. Even though the primary subjects of international law are the states, even private actors may be forced to comply with this principle depending on how well it has been implemented in national legislation of the post-conflict state or actors’ home state or due to voluntary measures initiated by the industry or international organisations. Regarding the concern for recognition, Principle 22 in the Rio Declaration expresses that states should recognise and support indigenous and other communities, their identity, culture and interests. Furthermore, it calls for adopting means to enable their effective participation in the achievement of sustainable development. This includes respect of their traditional knowledge and practices in relation to environmental management. There are many examples on how indigenous peoples have suffered from conservation policies, in particular in states affected by armed conflicts including the Democratic Republic of the Congo, the Philippines, Colombia. States are under an international obligation to recognise indigenous peoples and to provide for appropriate procedures and institutions for indigenous peoples facilitate the respect for cultural differences. The environmental justice concern for recognising cultural identity both ensures rights for indigenous peoples to occupy and exploit their ancestral land as well as rights of varying degrees to participate and influence in matters regarding the land. As indigenous territories are usually rich in biological diversity and valuable natural resources, in many war-torn states, hostilities often takes place in these remote and biodiversity rich areas having severe impacts on indigenous peoples. In addition, when peace has been established, vulnerable indigenous communities can be marginalised if they are not recognised in the peacebuilding activities. The rights of the indigenous and other local communities expressed in international environmental law and human rights law are essential in a peace process to ensure social inclusion of different cultures. To summarise, international environmental law does not provide a clear-cut solution on how to achieve environmental justice in post-conflict. However, it provides tools to address environmental entitlements, human vulnerability, and management of natural resources, which are all pressing concerns in a peacebuilding process. It contributes to stress the responsibility of states to equally distribute environmental risks and hazards as well as investments, benefits and natural resources. Also, the law ensures access to information, participation in decision-making and access to justice in all environmental matters and to recognise different cultural identities, ideas and practice. For that reason, international environmental law is a good starting point of how to build sustainable peace in an environmentally just manner. However, to fully understand the meaning and implications of environmental justice, the notion needs to be approached from other disciplines as well. This conference is organized by the interdisciplinary research group ‘The Nature of Peace’ at the Pufendorf Institute of Advance Studies at Lund University, Sweden. 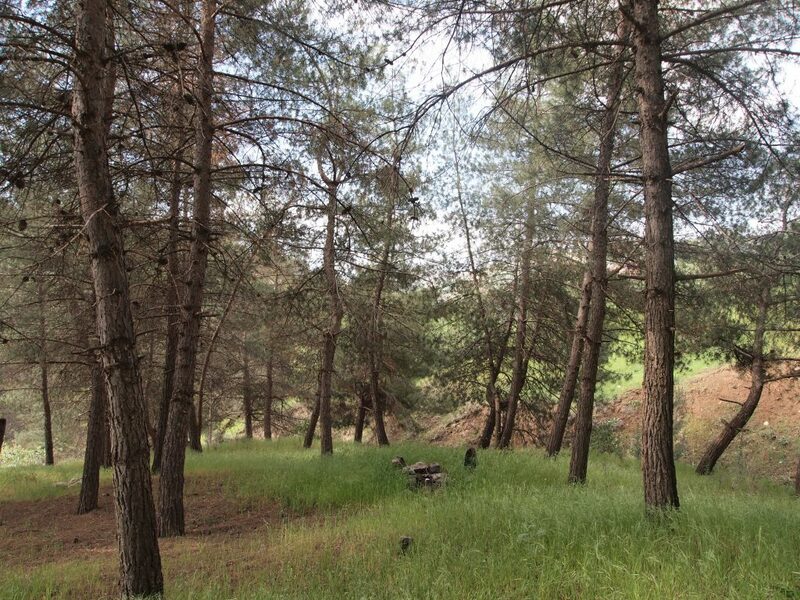 The research group scrutinizes the role of the natural environment in post-conflict societies, posing questions such as: What role does nature have in peace building? How is the natural environment considered in fragile states that need to develop quickly, during reconstruction period? Does peace always bring sustainable development? How can peace-building activities contribute to sustainable development? The research group brings together researchers from five different faculties (Social Sciences, Law, Humanities and Theology, Natural Sciences, and University Specialised Centres) to discuss and work on these issues. Why the Nature of Peace? Empirical evidence from around the world has shown that post-conflict reconstruction efforts often focus on the short-term and urgent needs of societies transitioning to peace. These processes, however, often fail to consider the root causes of the conflict (such as control over key natural resources) or to integrate post-conflict dynamics such as those linked to the distribution of environmental “goods” (water, land, forest, etc.) and “bads” (pollution, contamination, enclosures, etc. ), the participation and restriction in environmental politics by diverse ethnic/social/gender/age groups, or the recognition and denial of diverse value systems with different understandings of nature and human. In order to present its research results, the research group is organizing a two-days final conference to take place in Lund on the 26th and 27th of April 2018. We intend that the conference serves as well as a platform to engage with different people working with related issues. Therefore, we would like to invite other scholars and practitioners to participate or present their work. The conference is structured in a series of seminars and a panel. We expect to have few papers in each seminar to allow for in-depth discussion and engagement. We intent that the seminars would give presenters the space to share ideas or hypotheses, elaborate on them and debate about the role of nature in post-conflict societies from diverse perspectives. Presenters will be able to choose the best way to communicate their ideas and engage the audience in discussions using different methods (e.g. from a classical power point presentation to a more interactive one such as using on-line tools). In the panel, participants will have the opportunity to share their views from the ground. In Seminar 1 “Natural resource exploitation” we welcome papers that address the relevance of focusing in natural resource exploitation in different scales. Natural resources (land included) are target of international investors and corporations and national states take advantage of them to promote economic development and foster state reconstruction. However, natural resources are key for local livelihoods and income generation. 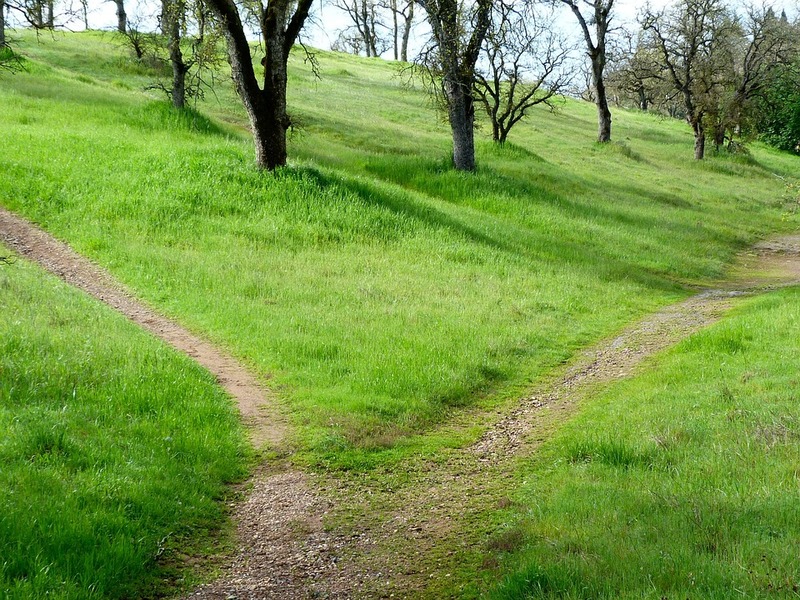 Disputes over the access and use of natural resources (such as diamonds or forests) can create new conflicts or bring back old ones, attempting against stability and peace in the long run. In Seminar 2 “Environmental legislation / nature governance” we invite papers that address, for instance, the following questions: Which major governance processes relating to the natural environment (agenda-setting, rule- and decision-making, implementation, enforcement, evaluation) have taken place in post-conflict situations, which ones are missing? What are the major outputs (laws, strategies, guidelines, incentive mechanisms, etc.) and how effective are they? Which actors have been involved in these processes or benefited from them (international or domestic actors; governmental, civil society, private sector, military, scientists, vulnerable groups, other stakeholders), which ones have been absent or marginalized? At which levels have these processes predominantly taken place (national, regional, local)? What is the degree of legitimacy and accountability of post-conflict environmental governance and legislation? And how can we explain or understand the observed types of governance, inclusiveness, effectiveness or legitimacy in a theory-guided manner, e.g. through constellations of power and interests, knowledge claims and gaps, or the contestation of norms and discourses? In Seminar 3 “Biodiversity conservation” we invite papers that inquire to what extent peacebuilding can potentially bridge developmental objectives with biodiversity conservation. A transition towards post-conflict opens an opportunity to retake control over protected areas, forest ecosystems and biodiversity. Yet, biodiversity conservation is not very high on the peacebuilding agenda and with political stability and security comes development of infrastructure and certain economic sectors that further drive the loss of biodiversity. New roads provide easier access to remote areas and lead to an increase in hunting, degradation of ecosystems and the loss of habitat, affecting biodiversity negatively. Counteracting this negative trend with serious long-term implications for the health of people and ecosystems is fundamental and post-conflict transitions provide a window of opportunity towards a more sustainable use and conservation of biodiversity. In Seminar 4 “Monitoring environmental transformation” we seek to discuss the possibilities to use Earth observations from satellite to monitor natural environments and resources in post-conflict situations. Time series of satellite images analyzed in a geographic information system (GIS) are objective means to access status and changes in environmental parameters e.g. spatial distribution and area of different land use, land use changes, biological production, and natural forest area issues. Earth observation methods, together with contextual information and data collected with other methods, might be able to tell us something about how socio-economic and political changes lead to inequalities among different groups and across socially constructed boundaries, particularly in peacebuilding. This seminar also intends to include debates regarding what we can and cannot say about nature in post-conflict situations using satellite images. In Seminar 5 “Nature, culture and rights”, we invite presentations focusing on how cultural beliefs and practices, especially the relationship between human beings and the non-human world, can be of relevance for post-conflict peace-building. Culture can be defined as a body of beliefs and practices in terms of which a group of people understand themselves and the world and organize their individual and collective lives. These beliefs, practices and value systems might be shaped by religion, but also by Enlightenment ideas about rationality, secularism and progress, and be a reflection of power dynamics within or between societies. Both theoretical discussions from fields such as philosophy, religious studies and human rights studies, as well as case studies from local contexts, are invited. In Seminar 6 “Intersectionality, post-conflict and natural environment” we particularly welcome papers interested in addressing gender aspects that relate to nature in post-conflict and peacebuilding. However, we have a broad understanding of intersectionality, referring to overlapping and interdependent systems of discrimination, oppression, and disadvantage according to social categorizations not only gender but also ethnicity, social class, age, sexuality, etc. The panel “Local perspectives” invites practitioners (including activists, politicians, lawyers, NGO staff working on the ground) working with local communities from different continents in post-conflict situation and/or peace-building to present their views from the ground. With this panel we want to show regional differences in relation to how the natural environment and peacebuilding are interconnected (or not). Papers interested in discussing the role of nature in post-conflict societies and/or during peacebuilding are welcome! If you would like to participate, please send an email to Andrea Nardi (andrea.nardi@keg.lu.se) or Lina Eklund (lina.eklund@cme.lu.se). If you are interested in presenting a paper, please submit an abstract and the name of the seminar you would like to do so. Submissions should consist of a text with no more than 500 words and a brief CV containing the author’s name, institutional affiliation and contact information. We should receive the abstract no later than 15 February 2018. All participants will be notified of the final selection by 28 February 2018. “The state of the art of Nature in post-conflict and peacebuilding”, Torsten Krause and NoP. “Counterworking Colombian Peace – The land conflict at ‘el Quimbo’ dam project at the Río Magdalena” – Cornelia Helmcke. “Emerging environmental discourses in post-conflict context: exploring situated meanings of sustainability and development”, José Castro-Sotomayor. “Just Peace for People and Nature: Transboundary Protected Areas in Post-Conflict Borderland”, Elaine Hsiao. “Working towards paradise; joining up peace and conflict studies, anthropology, conservation biology and environmental sciences for an interdisciplinary theory of environmental peacebuilding”, Josepha Wessels. “Chechen Wars triggered land use change in the North Caucasus”, He Yin. 2. NoP final conference will be held at the Pufendorf IAS, Lund, on the 26 and 27 of April 2018. Mark the dates in your calendar! We will share more info during December. Rania Masri will visit as during March and April 2018. Rania is an environmentalist and human right activist. She is currently Regional Coordinator at ACKNOWL-EJ (Academic-Activist Co-Produced Knowledge for Environmental Justice). She has previously worked with UNDP in Cairo, as assistant director at the Institute for Environmental Studies at Balamand University, and as Associate Director at the Asfari Institute for Civil Society and Citizenship. Florian Krampe will be visiting us during April. Florian is researcher in SIPRI’s Climate Change and Risk Project and Affiliated Researcher at the Research School for International Water Cooperation at the Department of Peace and Conflict Research at Uppsala University and the UNESCO Centre on International Water Cooperation hosted by the Stockholm International Water Institute (SIWI). We are looking forward to their stay at the Pufendorf IAS and working together at NoP! November, turned out to be inspiring with interesting debates with diverse scholars on nature after war and/or during peacebuilding. Our conversations dealt with different topics such as the centrality of natural resource exploitation for the recovery of national and regional economies and state reconstruction, the use of environmental law to generate institutional change and political reconfigurations, or environmental peacebuilding. 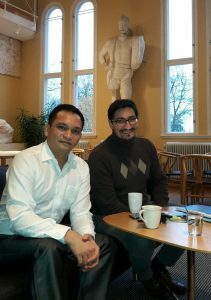 Our interlocutors came from diverse countries… Denmark, USA, and Philippines. We have an informal meeting with Mark Antony Torres who is Director of the Institute for Peace and Development in Mindanao University and Associate Professor of the Department of Biological Sciences, College of Science and Mathematics. We discuss among other issues, the importance of cultural understanding of nature and the many and diverse judicial systems a society might have, drawing on the case of Philippines. This, I argue, is relevant when setting policy and research priorities in post-conflict situations and reconstruction processes: whose justice system will be recognized? How would different systems be considered? Which different understandings of nature are embodied in these diverse jurisdictional systems? These are central questions for an environmental justice that recognized different conceptualizations of nature and is opened for the participation of different social / ethnic groups. A sustainable peace and development can only work if accommodates such an environmental justice. We had a seminar with Christian Lund who is Professor in Development, Resource Management, and Governance, at the Department of Food and Resource Economics (IFRO) at University of Copenhagen. He very recently published a paper: “Predatory peace. Dispossession at Aceh’s oil palmfrontier” in the Journal of Peasant Studies. Even though the paper does not address the issue of “justice” in post-conflict Aceh, it is very much about that. Farmers were longing for peace (political stability) in order to access land and put it under production. Instead, palm oil corporation were given priority by the new government to use agricultural land for large scale palm plantation. Whose claims are recognized? Whose authority is legitimate? The case presented is, sadly, a good empirical example of current trends in many post-conflict societies. It warns us about natural resources (in this case land) and public resources distribution among different sectors of the population and the justice and injustices behind such distribution and accumulation. The complexity of the case is very well explored in the paper. At the end of the conversation I wonder: who was pushing for peace in Aceh? Which has been the context (e.g. post-tsunami) and role that palm oil corporations had in the peace process and “political stability”, if any? We had a video conference with Teo Ballvé, who is Assistant Professor at the Peace & Conflict Studies Program, Department of Geography, at Colgate University, New York. We discuss among other issues how to study and conduct research on “environmental peacebuilding”, and how to further conceptualize and operationalize this notion. The geographical and theoretical scale of analysis here shifted from national (central state reconstruction, economic growth, insertion in the global economy) to local communities and their livelihoods (even though this was also discussed in “Predatory Peace”). Relevant from this approach is how community projects around local natural resources and livelihoods can pave the way to reconciliation and community building helping towards a sustainable peace from the ground. We have a seminar with Frank Baber to discuss on environmental law. 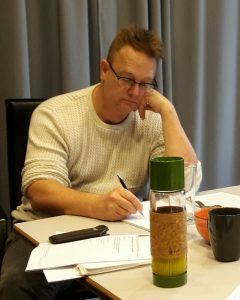 Frank is joining Raoul Wallenberg Institute of Human Rights and Humanitarian Law (RWI) as Fulbright Distinguished Chair of Public International Law and will be staying in Lund for the next nine months. He is professor in the Environmental Sciences and Policy Program and the Graduate Center for Public Policy and Administration at California State University, Long Beach. Environmental legislation which seeks to regulate biodiversity conservation, or the use of natural resources can be used as a political tool to motorize different processes. Focusing on a concrete case, namely Afghanistan, we discuss the relevance of environmental law for institutional change and state reconstruction in a post-conflict situation. In this case we did not discuss how natural resources are appropriated and exploited/conserved, or the competing cultural understandings of nature, but how “talking about the environment” (or trying to regulate its access and use) is as much relevant as the actual appropriation of it. After all, it defines the future of nature and people. These conversations have been very inspiring and helpful to start thinking on an environmental justice approach to post-conflict and peacebuilding! The Kurdistan Region of Iraq (KR-I) is located in the northern part of the country and includes the three governorates of Duhok, Erbil and Sulaymania. The region is a semi-autonomous federal one and has its own government, the Kurdistan Regional Government (KRG). On September 25th 2017 the Kurdish Regional Government held a referendum about Kurdish independence from Iraq. The vote, which was criticized by Iraq and neighboring countries, resulted in a strong yes to independence, but was rejected by the federal government of Iraq. KR-I has a history of conflicts which has largely shaped the Kurdish and Iraqi societies. For almost a century, the Kurds have strived for independence, and been persecuted for their claims to statehood. In the 1970s, the government of Iraq carried out resettlement programs to increase the Arab population into the Kurdish areas, which dispossessed people from their lands. An incident that still plays a very important role for people in Iraqi Kurdistan is the Anfal campaign, a genocidal attack carried out by the Iraqi government during the Iran-Iraq war. By targeting rural Kurdish areas, the Iraqi government sought to curb the Kurdish guerilla (Peshmerga) and the people supporting them. Villages were bombed and burned, people were arrested, taken to camps, or killed, and chemical weapons were used, leaving many of the those who survived the attacks with health problems today. Furthermore, Iraqi Kurdistan experienced the economic consequences of the Iran-Iraq war and the invasion of Kuwait that led to international sanctions on Iraq. The invasion of Kuwait also resulted in the establishment of a no-fly zone in the Kurdish region, which led to some initial steps towards autonomy and stability in the area. However, in 1994 clashes emerged between two political parties in Iraqi Kurdistan, which lasted until 1997 when a cease-fire agreement was reached. With the U.S. invasion of Iraq in 2003 and the fall of Saddam Hussein, the KR-I, saw a new beginning. Southern Iraq went into civil war, but the KR-I became a relatively stable area. The oil revenues coming into Kurdistan from the Iraqi government, and the ability of the KRG to develop legal initiatives to stimulate foreign investments, have led to an economic boom in this region, bringing for example luxurious hotels, rapid urbanization and investments in higher education to the region. The recent developments starting in 2014 with the Islamic State (IS/ISIS/Da’esh) taking over territory in Iraq and Syria, and the aftermath of the Kurdish referendum show that the people of Iraqi Kurdistan are still living in a volatile situation. The relative stability of Kurdistan since the 2003 invasion has allowed for foreign investments in KR-I and since 2006 foreign companies have been drilling for oil and gas in the area. The KRG has signed several exploration agreements with a number of foreign oil companies from all over the world. Since the rise of IS, many international oil companies have withdrawn from some of the oil exploration areas, but they are still operating in other areas. Even though the region benefits economically from the foreign investments, consequences have been seen in the rural areas where oil exploration takes place. 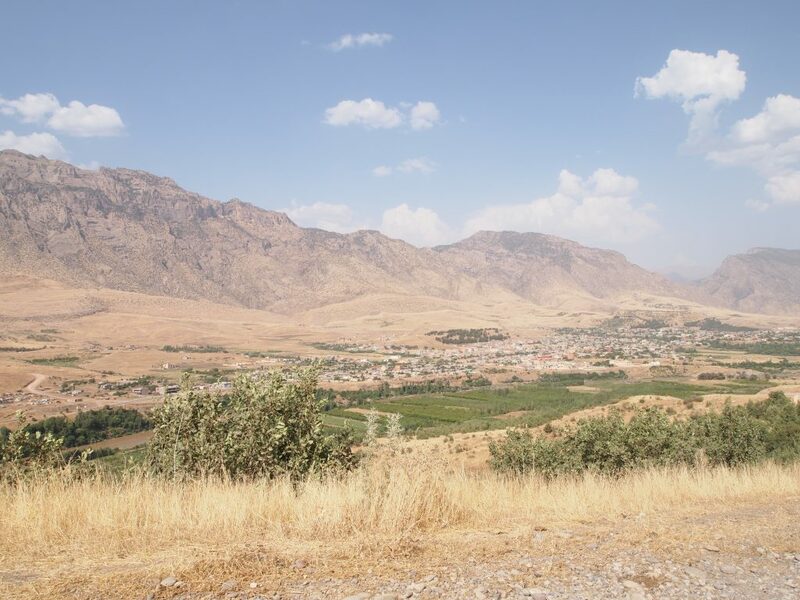 A documentary video from the Christian Peacemaker Teams in Iraqi Kurdistan shows how the village of Hajj Ahmed has gotten their land seized for oil exploration without proper compensation. Villagers report that this causes problems for the farmers, as their livelihoods become compromised. In the village of Gullan people are facing the same issue and view it as a threat to their surrounding natural environment. A non-governmental civil council was established in 2013 to protect the environment and its population from the threats of oil companies, through for example demonstrations, petitions and public debate. The geographic location of Iraqi Kurdistan means that it has the highest precipitation rates and the most fertile lands in Iraq. KR-I thus has good agricultural potential compared to the rest of Iraq, and has traditionally been an agrarian society. While the Anfal genocide in 1988 has been cited as a major reason for the decline in agricultural production in this region, research have shown that the winter cropland area in the Duhok Governorate has increased since the American invasion of Iraq in 2003. A forthcoming study of those cropland changes suggests a shift from traditional small-scale farming to agricultural entrepreneurs who choose crops based on profitability rather than suitability. Furthermore, the urbanization trend has led to urban expansion and a change in land use, from croplands to built-up areas, reducing the amount of arable land in the region. 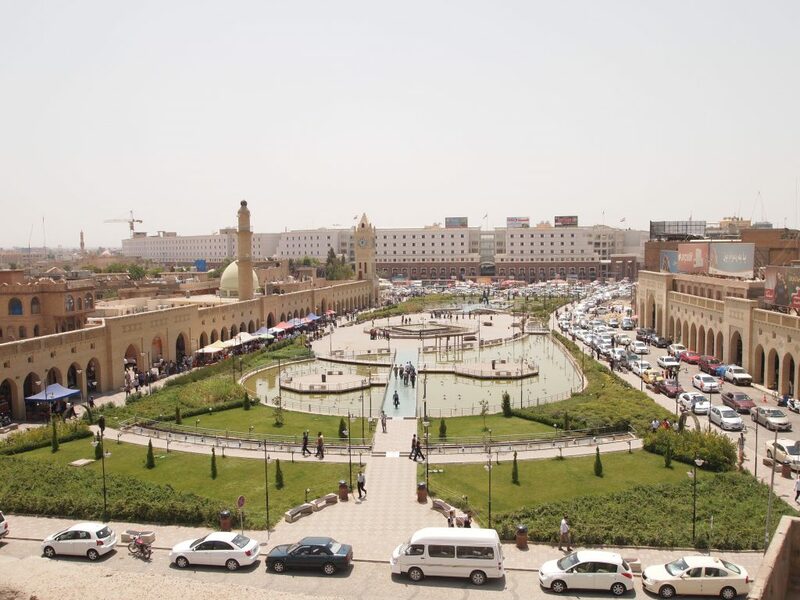 The case of Iraqi Kurdistan may not be a clear case of conflict turned post-conflict, but it does show us something about what happens in an area when the political situation becomes slightly more stable. The Kurdistan region is rich with resources and some would argue that the region is becoming “a new Dubai” with tall, impressive buildings, a migrant workforce, and a rent based economy. At the same time, we can see that when opening up for resource extraction, there are consequences for the local population as well as for the local environment. Little has been done to study the effects of the oil extraction, the land use changes, and the unsustainable agricultural practices, on the biodiversity and water quality/availability. Furthermore, the social and environmental injustice, such as the events documented in villages like Hajj Ahmed and Gullan, should receive more attention. What has happened in Iraqi Kurdistan since the US invasion in 2003 shows that stability (or peace in the broadest sense) comes with new challenges that need to be addressed if we want to build a sustainable society.